My Creative Existence: Feeling Hungry? Are you looking for some new recipes to use over the festive season? Well, Tarisota are having a special 25 days of recipes feature over on their blog! 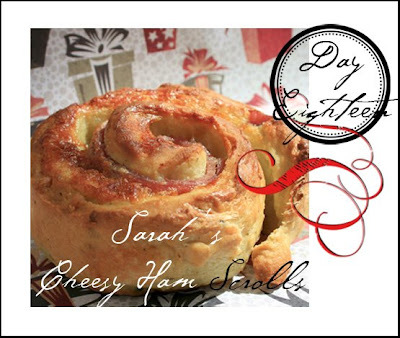 They are designed to print out at 8x8" so you can make a cool little recipe book! And don't forget to let me know if you make my scrolls! They're yuuuuumy!! Hi Sarah. This recipe looks delish. I will definitley be trying it. I have left a little suprise for you on my blog. I made some sweet pastry scrolls recently. I showed them on my other blog- tegan says. Puff pastry is the best! I'd have it plain I think haha. Hey Sarah!!!! These look sensational! I think I shall even give them a go!